Congrats to the inventor of this corn steamer! I love, love, love it! I've order more for friends. I've had mine for years and it never fails me..
Really lovely and convenient product. The very first time I used it the corn tasted Wonderful, and it was so easy! Easy to use and short cooking tine. Love this product. Delicious corn! I bought this corn steamer without really thinking it would be all THAT!! Was I surprised! My husband & I love it. Perfect corn on the cob everytime. I'm going to order an additional one in case my sister & brother in law come for dinner. Beats heating a big pot of boiling water & heating up the kitchen. I would highly recommed this product and the price is great also. Thanks WD!! This is great for frozen/fresh corn. Great for left overs take it to the office. It cooks corn evenly and quick. This product works very good !! This product works GREAT !! It cleans very easy .Very simply to use!! It's a must have , if you like corn on the cob !! It would be nice if you could make one for four ears of corn. Easy to use and does not boil away the great flavor of fresh corn. Taste how sweet corn was suppose to taste. Love this product. Great for when the central air is running over time because it's 105 outside and you don't want to heat up the kitchen with the stove. But the fresh corn from the field is just right to eat. 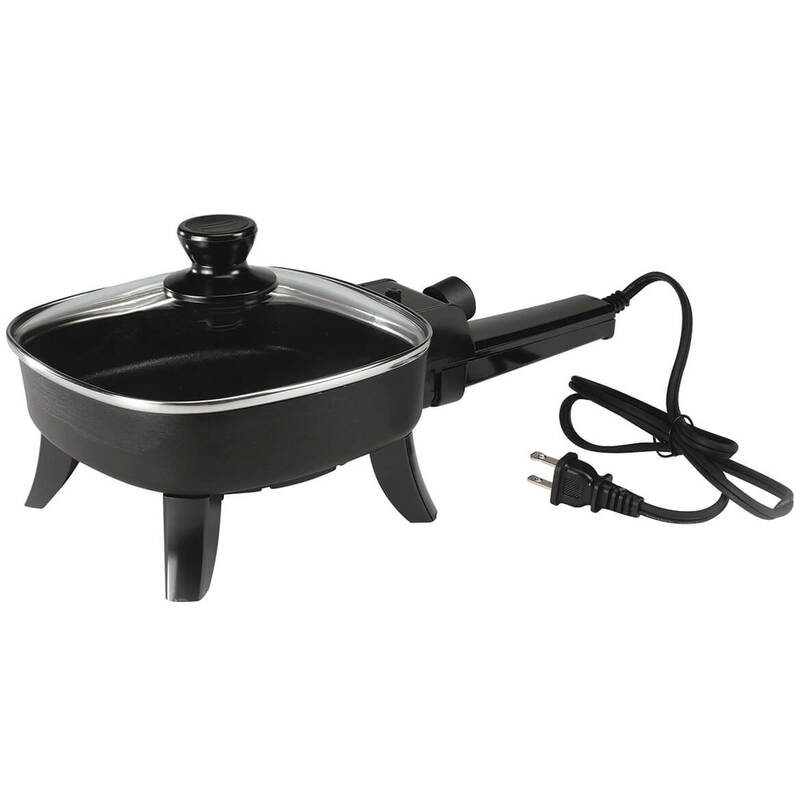 **IN A 700 WATT M/WAVE IT TAKES 10 MINUTES and it's PERFECT**So there's no reason to heat up a big pot of boiling water to boil for 20 minutes and steam up the whole kitchen. I will never boil water again for corn!!!! I used to microwave corn in a heavy lidded corningware dish, but it broke. This steamer is much lighter & now the corn cooks in half the time. I wish its lid had a handle in the center to avoid the steam, or else a handle at each end. I have not used this product yet but look forward to doing so. But Walter Drake is the best! I use the corn holder in the microwave I add a little water and some salt & butter. They come out nice & tender, juicy and hot. I love the convenience of the steamed corn. I am really enjoying it. However some cobs are too long for the container and need to be trimmed. We like boiled corn and this is a good way to cook the corn. Cooking only for one sometimes two this corn holder is ideal. Quick and easy to use. Use it often. I have 2 of these and absolutely love this product. It makes cooking corn on the cob quick and simple. I highly recommend this product!!! I had corn on the cob without heating up the kitchen. I love this product and anticipate using it many more times this summer. I am delighted with the microwave corn steamer. The corn steamer is very easy to clean. It cooks the corn in about 4 minutes with two tablespoons of water. Great device for two people. Would buy again and highly recommend. This item will be used all the time whenever I have a taste for eating corn on the cob.Perhaps It will not be used for a large family dinner. This is the second one I've purchased. My dog got a hold of my old one, I was glad I could find where I purchased it in the first place. The corn comes out great. Really like the product. Had one already and bought two more. Just wish it were a little longer for the bigger ears of corn. Good for both frozen and fresh corn. A nice little dish for making perfect corn every time although I do wish the dish was just a wee bit longer. Fresh corn from the market has a hard time fitting in the dish. I didn't check any pros or cons because haven't used yet so not sure how well it will do but hoping it will work better than how I have been doing my corn in microwave. One thing am a bit concerned about, it is a little on small side so not sure how bigger corn ears will fit in it. Regardless, I can always use it for other vegetables. It does the job of cooking the corn and don't have to mess with boiling water. The lid could be better. Plastic cover warps after about 2 minutes. Unusable after that. Not really worth the money. Nice concept for one or two people; however, the first time I used it the cover warped. Material is a little flisy. Now I know why it's called the micro corn steamer. it is simply not deep enough for the cover to seal over any but the smallest ears of corn. It's a shame, because on the two little ears we cooked in it it did a good job. Not willing to have my produce choices limited by the capacity of this gadget. Great idea but quality so poor I returned it at great postage expense. The 2 parts were so mishaped they would not fit to gether. Cost to return was as much as I paid for the corn steamer. Don't waste your money. You're going to be sorry you asked. Really hoped this would be a good way to cook corn on the cob for just one person. It might work if the cob was cut into 4 inch sections, IF it wasn't a nice, fat juicy cob. If it was it would be too thick for the container and the lid still wouldn't fasten. Used this once and it cooked the corn great. The problem was the clear cover was warped by the microwave oven. A one time use product, not worth the money. During first use,despite following instructions,the cover warped so badly that there is no way to close the device. I will try plastic wrap because it is convenient. For a microwave product, the cover should not have warped within minutes of putting in the microwave and was left unusable. I threw it out though I should have sent it back. But the postage would have cost more than it was worth. I used this item once, to steam two ears of corn, in accordance with the instructions. The cover warped so much that it no longer sits flat on the base. As such, it is now useless and will have to be returned. This is most perplexing to me, as my Mother has one and it has held up well. I used my microwave corn steamer only one time. The lid warped and was completely useless. The corn did cook, but I'm not sure it "steamed." The cover is made too thin. It melted & warped immed. I threw it in the trash. Perfect for 2 people, 5 minutes and you're done. It's a great way to cook corn for a quick meal! This item is Excellent for steaming corn on the cob, and many other vegetables, like carrots, etc. I use mine very often, it is easy to clean, and after a few years with it is in great shape. IT'S EASY TO FIX COUPLE AT A TIME. To replace one packed away in a storage room. We have one of these and really enjoy it. The new ones will be gifts for our single friends and neighbors. no particular reason, just convenience. Thought I would try this. Fast, less to wash and can be used to butter corn! We do corn in the microwave all the time and I could use this instead of a plate. Have used one before. Quick and easy corn on the cob preparation for small meals. Because my husband loves corn, and this is very handy for him. I think it will be a good idea to be able to melt the butter into the corn while it is cooking. I MOVED SEVERAL MONTHS AGO AND ONLY THE LID ARRIVED AT MY NEW HOME. THIS IS THE BEST CORN ON THE COB MAKER I HAVE EVER HAD. Love fresh corn and think this will make cooking easier. I have one, but the cover has disappeared so I ordered another. Oh boy! just right for preparing corn on the cob! Heard good things about it... Using it for a hogie roll mold. Ears of corn cooked to perfection best ever steamer. Looked like they'd come in handy. Love corn it just take to long to boil so that's where this comes in handy. Easier than cooking in pan on top of stove. Thank you for your question. The steaming time will vary depending on the food being steamed and the wattage of your microwave. We hope this information will be of help to you. Put a couple of tablespoon of water in the container and put the corn ion the microwave for 4 to 5 minutes. Delicious! Five minutes for one ear and six minutes for two. Microwave ovens do vary, so experimentation will be required. It takes about 5 minutes. But does work well. Can't answer, never used it. how to use the corn on the cob microwave steamer? BEST ANSWER: I put 2 tablespoon of water in each side. Add corn on the cobs and cook for 6 min. Be careful taking out of the cobs and the lid. time to cook 2 ears? BEST ANSWER: We can now have two ears of corn in minutes. Great for households with 2 people. The cleanup is great too! About 5-6 minutes depending on microwave strength. I cook mine for about 5 minutes. Do I put water in the cooker? BEST ANSWER: I usually put a tablespoon of water in each side. It makes great tasting corn and so much faster! The directions said 2 tbsp, which I assumed meant one in each side. Corn came out great! Directions call for 4 Tbsp. water, I put 2 Tbsp on each side and it seems to be perfect. Yes, a very small amount in bottom of each corn holder. THIS IS A GREAT PRODUCT. BEST ANSWER: It will work on frozen corn also. Walter Drake White Microwave Corn Steamer Directions? BEST ANSWER: Add about a tablespoon of water to each side of the steamer. Place cobs in steamer, cover and place in microwave and cook for about 5-6 minutes depending on strength of microwave. The cover does not need to snap in place, just needs to cover. Use caution when removing, very hot. Corn comes out tender and fully cooked. For 2 ears of corn, put a little bit of water in each side of the container, maybe a few tablespoons. 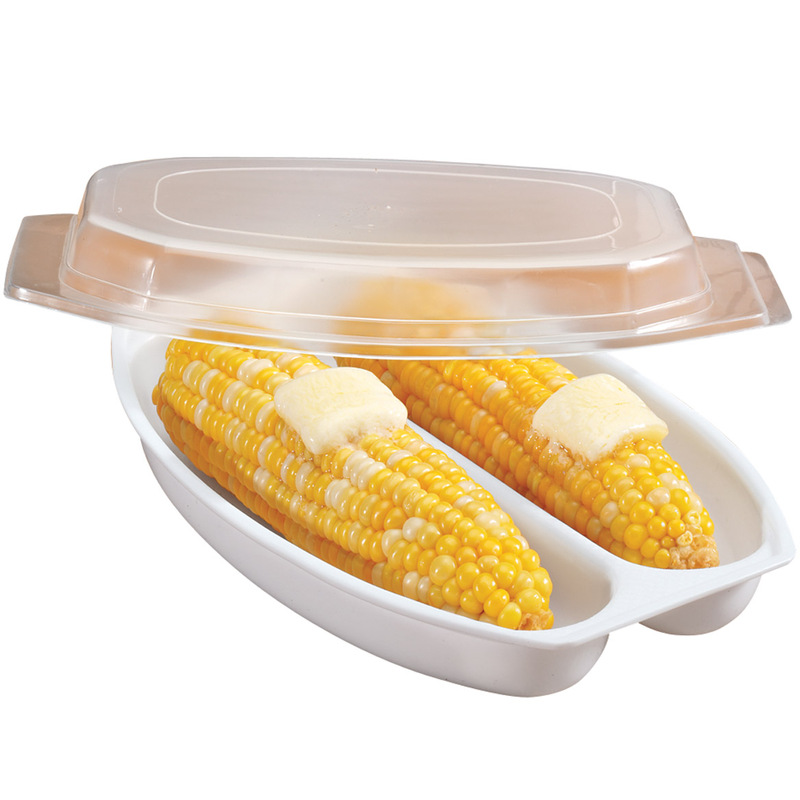 Place the corn inside, put lid on, and microwave for about 3 minutes. BEST ANSWER: Thank you for your question. 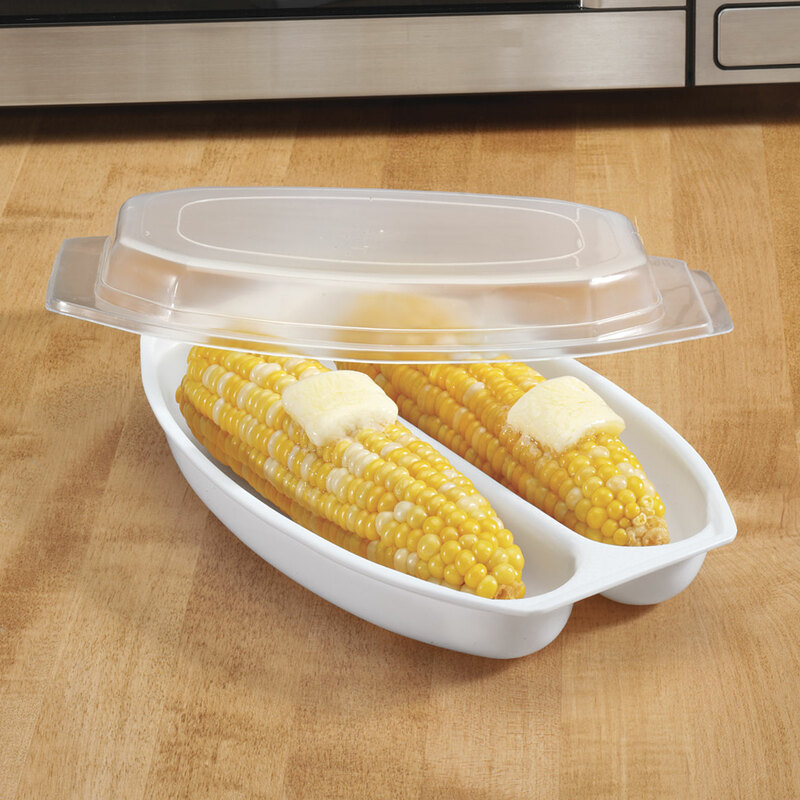 The Microwave Corn Steamer is BPA free. We hope this information will be of help to you.